Read Up: 9 Women Writers Who Are Breaking New Nonfiction Territory — a must-read at Bustle. IKEA Chic: I love this artists’ cottage in Truro, MA over at Remodelista. Foxfire: This amazing new b&b just opened not too far from our house. If you need a last-minute summer vacation, check it out! Parents are parents: As a serious advocate for adoption, this story on the NBC commentary at the Olympics was incredibly important. Oaxaca: Diego Huerta’s portraits of Oaxaca’s indigenous communities are breathtaking. Wall of Fame: This simple paper plate wall idea over at Oh Happy Day is so fun and colorful. Thanks for sharing this little sports blub on your design blog! 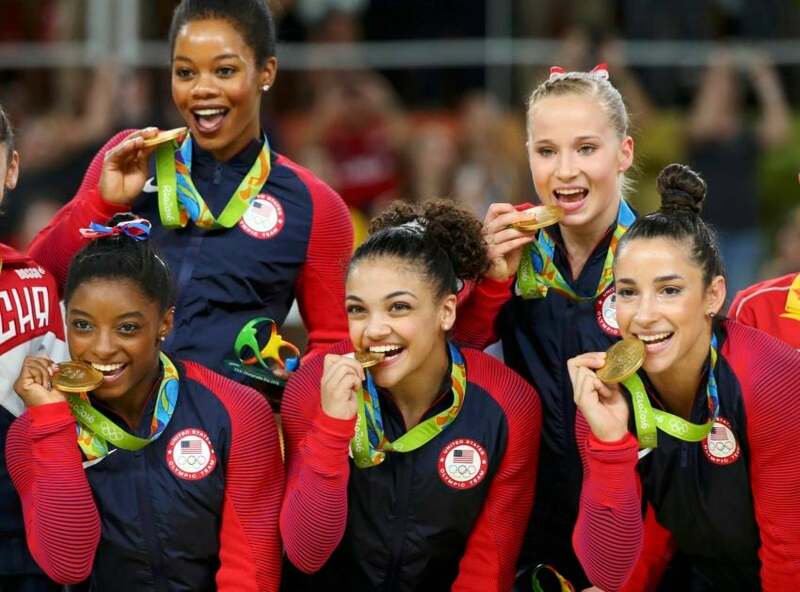 Gymnastics are the best part about the Olympics. Amazing.